The Rally of Great Britain will return to Wales after a deal was agreed between Welsh Assembly Government and International Motor Sports (IMS). "We are delighted to continue to bring this event to Wales," said Deputy First Minister Ieuan Wyn Jones. Support for the event was in doubt after it was announced Rally GB would be a part of World Rally Championship (WRC) only every second year. 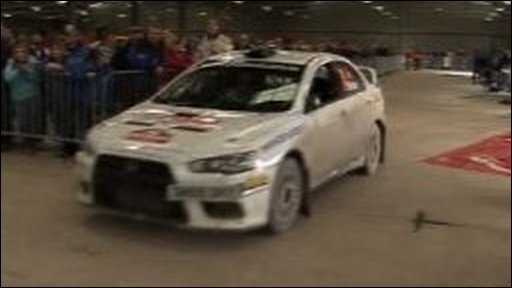 The 2010 Rally GB will now be part of WRC, but 2011 has not been confirmed. 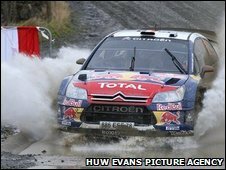 Whether it is part of the championship or not, the assembly government will fund a rally in Wales in 2011. "When doubts emerged over the rally's status in 2010, we moved to protect our contractual position and taxpayers' money," said Mr Jones. IMS chairman Alan Gow added: "l am pleased to confirm that we have now resumed our partnership with the Welsh Assembly Government to continue to host the event. "I'm confident that we can build on the current success of the rally and produce a truly spectacular event for the people and businesses of Wales." The uncertainty of the rally remaining in Wales after 10 years began in April when WAG withdrew its £2.2m funding for the sporting showpiece. A deal had previously been arranged for three years from 2008. The GB rally, in its 65th year, is the 12th and final round of the WRC. Sebastien Loeb has a 30-second lead over closest rival Mikko Hirvonen as he enters the final day, the Frenchman closing in on a sixth world title.